How To Automate Your Information Business is the audio move you need in your ears to help you get automated so you maximize your exposure and profits and minimize your energy spent working. It really does make sense when you stop and think about it. This download shows you exactly what you need to do in order to get automated so that you don’t have to worry about emails going out or your sales page splashes being forgotten. A ton of work separately turns into very little work with this masterful download. You only know what you know and with quality information you gain the power to make better decisions. Time for you to get started getting powerful and making the best decisions for you and your successful online business. 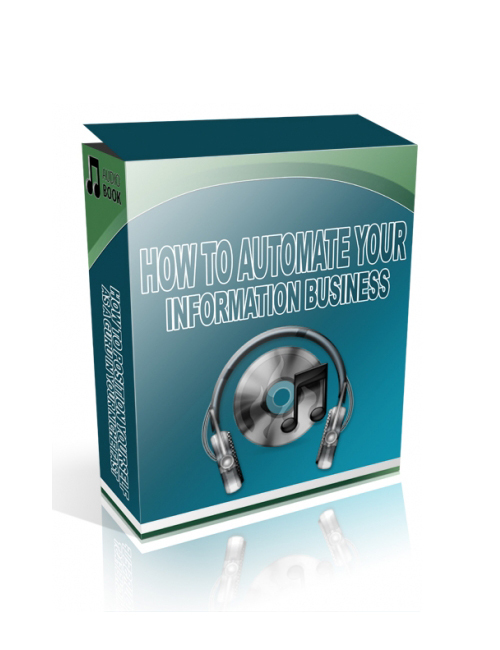 How To Automate Your Information Business is your best move in the now with this powerful resell rights content. Come and get it and win today…don’t hesitate.